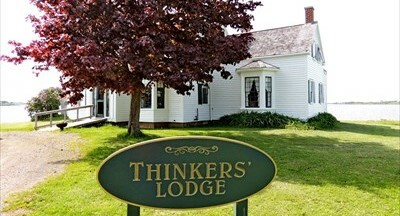 Image: The Thinkers Lodge in Pugwash, Nova Scotia. Venue for the early Pugwash Conferences. Addressing the conference held in Halifax, N.S., former Canadian Senator Douglas Roche said, “Canada once tried to get NATO to change its nuclear weapons policies; it should try again.” The conference agreed there is no legal barrier to a NATO state adhering to the Treaty and now is the moment to take advantage of the new political space opened up by the Treaty to revivify nuclear disarmament activity in Canada.